Halloween is fast approaching, and your gal's friend group can't pick a costume theme. They want to coordinate their outfits, but so far, they can't agree on what to do (this happens a lot, trust us). Sammy wanted to be jungle animals, Vanessa wanted to be witches and wizards, and Hannah wanted to do a steampunk theme. The ideas have all been nixed—they are looking for the perfect nostalgic, upbeat theme that will look cute, accommodate a group, and be cozy and comfortable to wear! After a LOT of debate, they have finally settled on Care Bears. Great! That's a perfect fit for her and her friends. It's no surprise that she got designated Cheer Bear—your girl is known for being naturally positive and peppy. 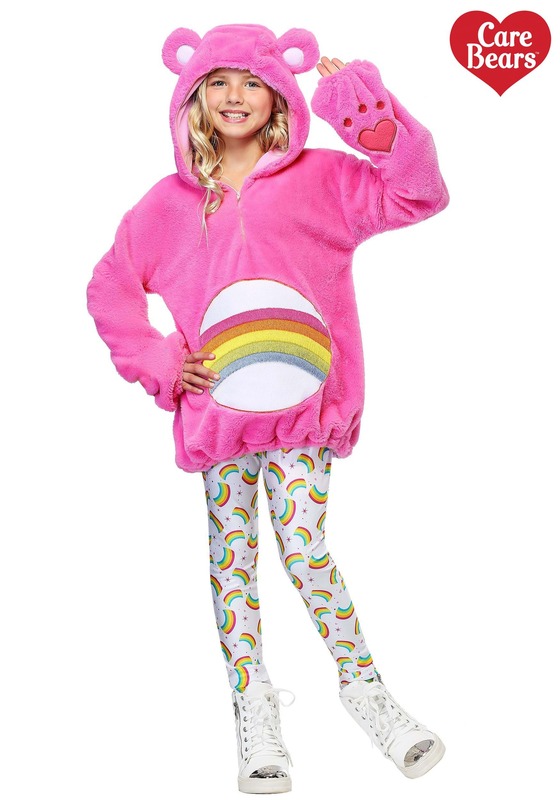 This Care Bears Tween's Deluxe Cheer Bear Costume is the easiest and coziest way to transform her into her character. Soft, sweet, and simple to wear, this laid-back look helps your girl share her shining personality with the world! This cuddly costume is a furry zip-front hoodie (her favorite!) with a cute hood and ears! 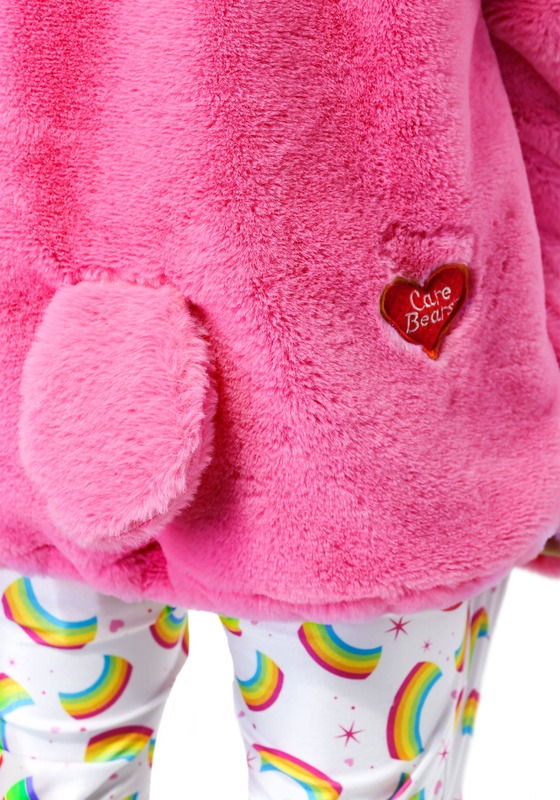 The pink pullover has paw details on the sleeves, as well as Cheer Bear's classic rainbow belly badge embroidered on the front. It comes paired with rainbow-printed leggings that stretch for comfort. This look feels just like her regular clothes, and yet distinguishes her as the cheeriest of her pack of pals! When they head out to trick-or-treat, you may want to send your gal with an extra pillowcase—she's bound to get some extra sweets in this look. Who doesn't want to reward kindness and positivity? Just make sure she shares all that extra sugar with her fellow bears. Share Bear would really approve! Now that that's all settled, you can go back to figuring out your own costume. Perhaps the Care Bears theme resonates with you, too?